Mindfulness is the energy of being aware and awake to the present moment. It is the continuous practice of touching life deeply in every moment of daily life. To be mindful is to be truly alive, present, and at one with those around you and with what you are doing. We bring our body and mind into harmony while we wash the dishes, teach, drive the car, or take our morning shower. When we practice mindfulness we become more aware of ourselves, our happiness and our sorrow. We come to understand ourselves and others much more clearly and compassion for ourselves and others naturally arises. Mindfulness is therefore a wonderful basis for us to lead an authentic, engaged, ethical life. In practicing mindfulness we can cultivate these wonderful qualities of authenticity and compassion and this brings benefits to ourselves, our families, our students, our colleagues and our society. 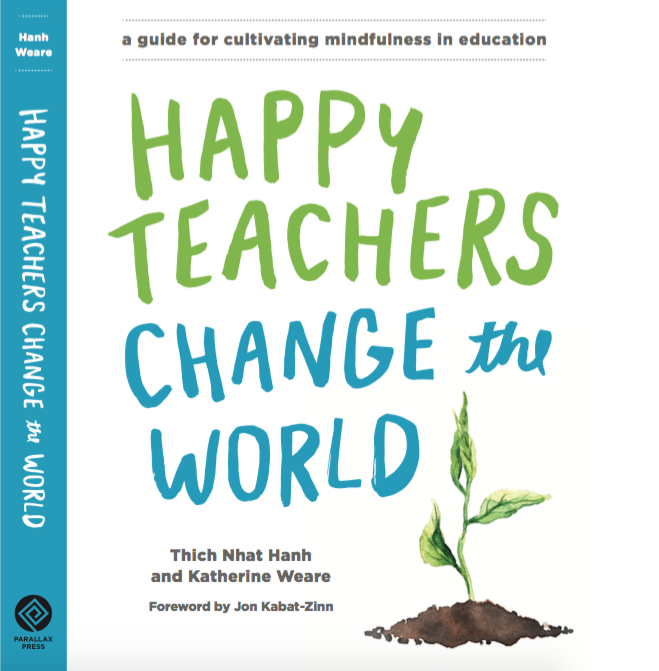 In recent years, mindfulness has been increasingly recognized internationally as a powerful tool to address the everyday challenges at school for both teachers and students. Research by the medical and scientific communities has provided evidence of the effectiveness of mindfulness in reducing stress, anxiety and depression, and in increasing emotional resilience, happiness, positive social behavior, and cognitive skills. These skill sets promote a cooperative classroom environment, reducing bullying and other behavioral issues. It is clear that the cultivation of the mind affects positive change for society and the planet. Talking about Mindfulness and Education from Mindful Videos on Vimeo.